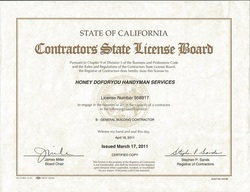 We are now Lead Certified! 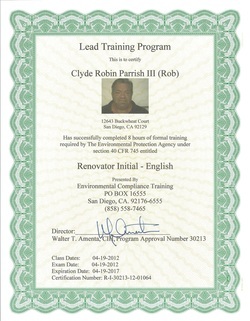 to become certified in Lead Renovation. prevent any exposure to building inhabitants and maintaining isolation and disposure of materials. needs with regards to modernizing your structure. We look forward to assisting with your ToDo list!